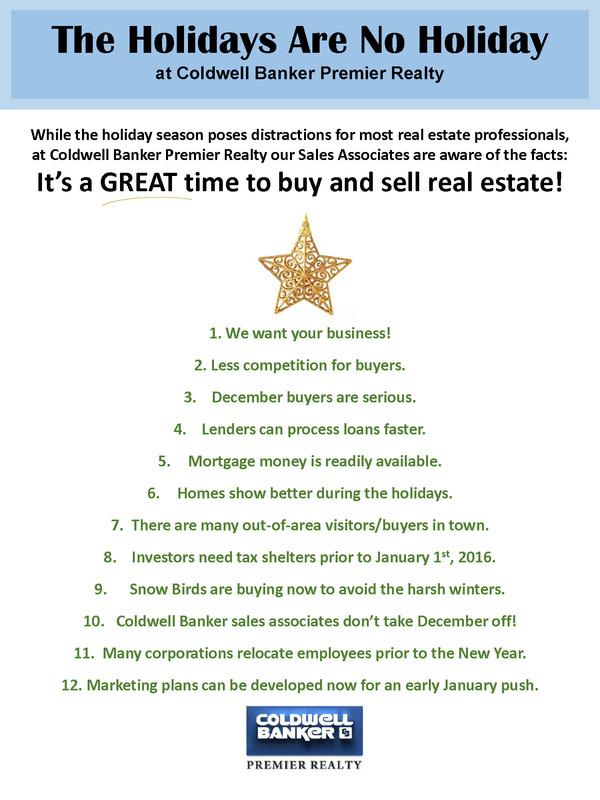 While everyone else is out on vacation during the holidays you can count on your Coldwell Banker Premier Realty agent to be working hard on your behalf. 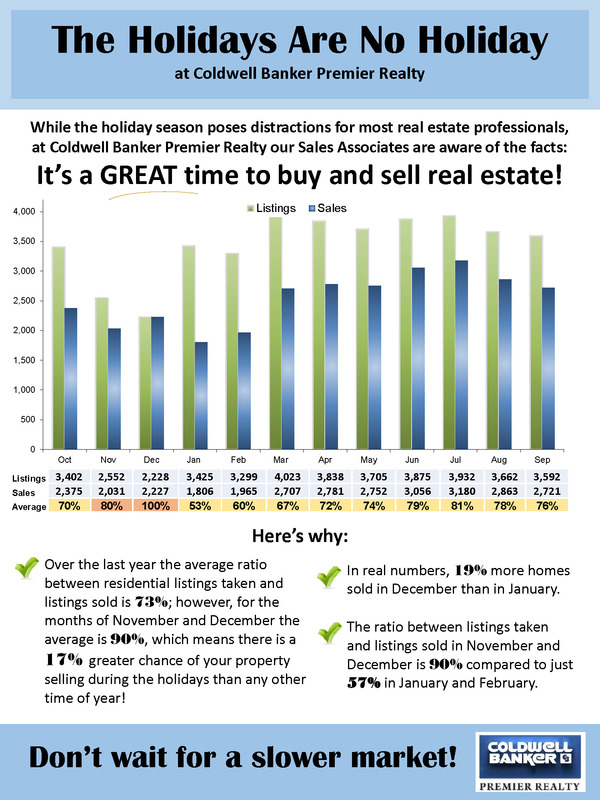 You can see here exactly why NOW is in fact a great time to list your home for sale! 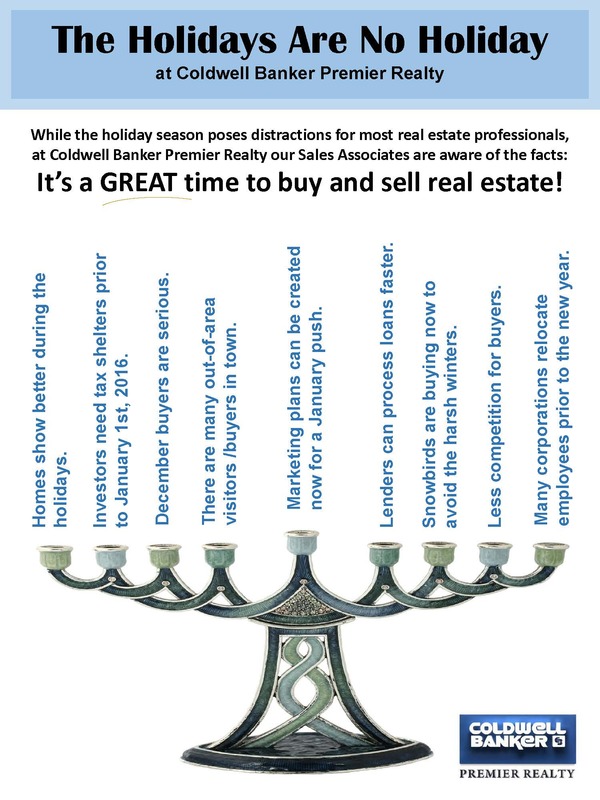 with your Coldwell Banker Premier Realty agent!